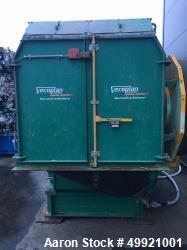 Used-Vecoplan Model RG42/30WP Shredder. 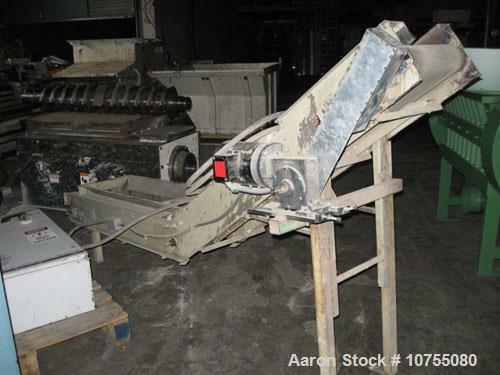 30 Hp, 460 volt drive motor into gearbox, belt drive, 10" diameter 42" wide rotor with 27 indexable cutters at 120 rpm, 1.4 kW hydraulic ram motor, 2.9 cubic yard infeed hopper, gravity discharge, wall mount original OEM control panel with Allen Bradley PLC control, includes conveyor for discharge. 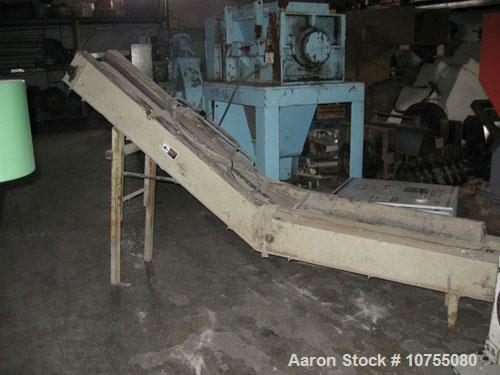 Measures 60" top height, 16" bottom height, 13 1/4" wide textured belt (9" usable width because of side raiil overhang), incline section is 68" long, horizontal 60" long. 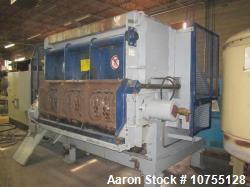 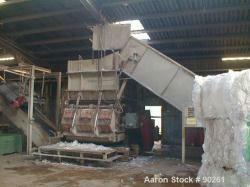 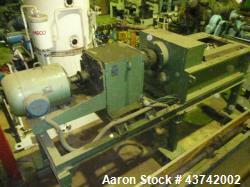 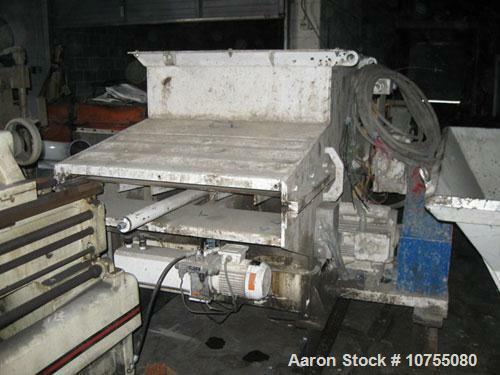 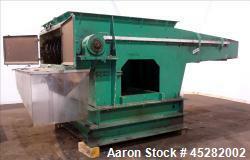 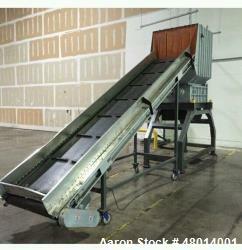 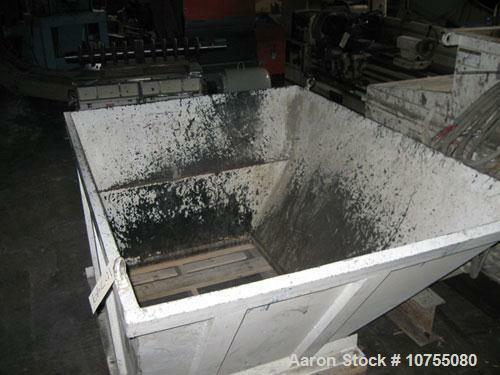 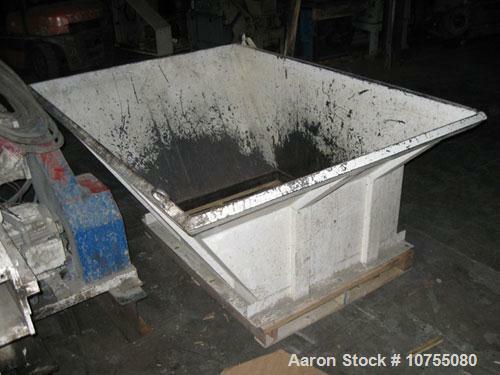 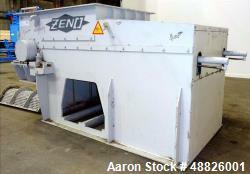 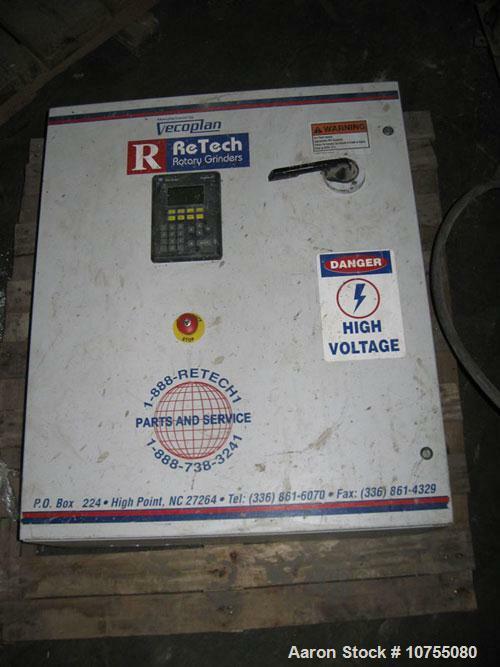 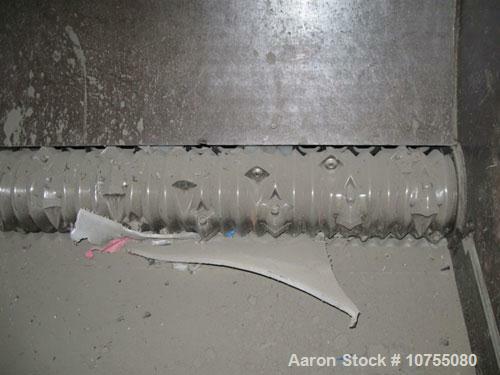 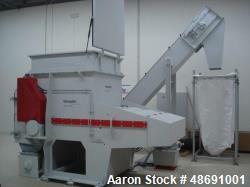 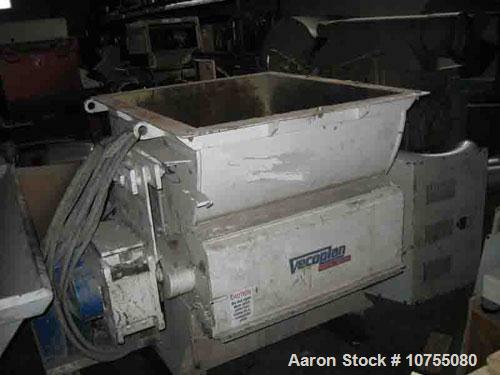 Used- Retech, Model RG42KXL Single Rotor Shredder. 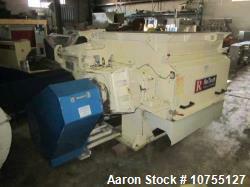 Used- Eidal Dual Rotor Shredder. 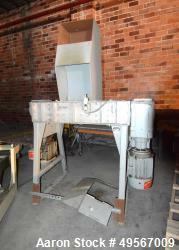 Approximately 25"